Throughout Berlin, particularly on the outskirts of the city are buildings that are ripe for urban exploration. It is technically possible to visit these places on your own, but a tour ofters a safer and more legal alternative to doing it yourself. 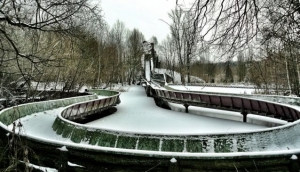 Sites like the 1936 Olympic village, Spreepark (an abandoned amusement park complete with creepily turning ferris wheel), Beelitz Sanatorium, the former spy tower at Teufelsberg, abandoned prisons, schools, swimming pools, bunkers, factories and more. These places make interesting places to visit and are favourites of many professional and amateur photographers. Every year these abandoned places are getting fewer and fewer as developers buy the sites and use them for, well, whatever it is they feel like so don't put off this experience any longer!